^ Woods, Lt Col Jon B. (编). USAMRIID’s Medical Management of Biological Casualties Handbook (PDF) 6th. 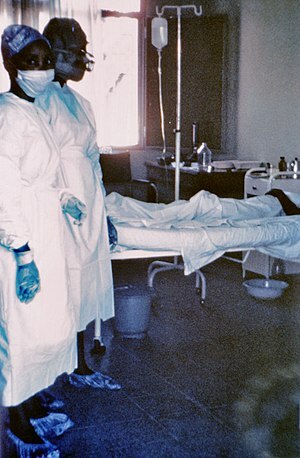 Fort Detrick MA: U.S. Army Medical Institute of Infectious Diseases. 2005: 143–4. （原始内容 (PDF)存档于2007-06-09）.